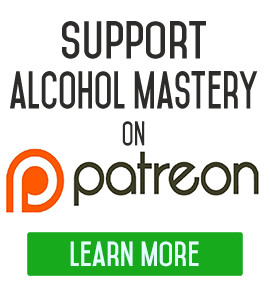 Hi, I’m Kevin O’Hara for Alcohol mastery (dot) com, and today I want to talk about making yourself a priority in the first weeks or months of your quit. You should be doing this in your life in general. The primary aim of quitting drinking alcohol is obviously to stop the actual drinking, you know, to stop the alcohol going in. Without stopping that flow, it’s very difficult to change anything else. You can’t change anything else. It certainly goes without saying, you can’t quit drinking without stopping the flow. But, you have to sort of be gentle with yourself in the beginning, you know give yourself a lot of room for mistakes; a lot of room for …I suppose not self-pity, but looking at yourself and thinking ‘well, I just have to sort of pat myself on the back for how far I’ve come’. 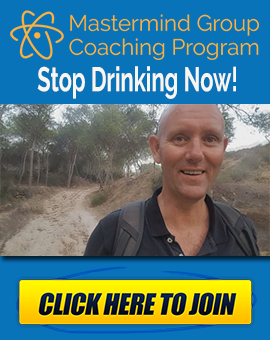 Most people go through life on this journey, and they don’t even get to the contemplation stage, which is thinking about quitting drinking alcohol. They’re in this…what a guy called Petrovski calls the pre-contemplation stage which is, they think that alcohol drinking is perfectly normal. It’s a normal art of their lives and there’s nothing wrong with it. 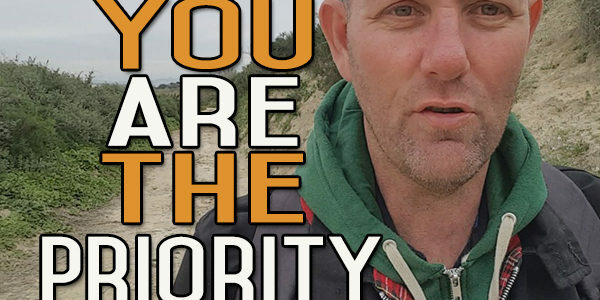 So, you have to give yourself tremendous kudos for actually getting to this stage in your life where you’re thinking that what you’re doing has volume, that thinking about quitting drinking has got volume, and that you actually stepping across that line and making a commitment to quit drinking has got a lot of value as well. It’s only when you can make the changes that you need to make in your thinking that you’re can see the biggest changes in your behaviour. The behaviour of stopping drinking alcohol, the actual stopping drinking is not getting rid of the behaviour, right? The behaviour is still there underneath the rituals, it’s still there. And changing that thinking, changing that behaviour, this is all gonna take time. It’s not gonna happen overnight. It’s not gonna happen within a day, two days, a week, two weeks. It’s going to take months before you get rid of the behaviour. You can confidently say that you can sort of be in situations and you’re not gonna think about drinking. When I’m talking about not thinking about drinking, I’m not talking about never actually having the thought about alcohol, I think that’s just an impossible thing to do. I think even people who never drank alcohol in their lives are going to think about alcohol at some stage, even if it’s to think what it would be like, or what would it be like to be drunk or what does that taste like or what does it feel like when it’s going in our body – that kind of thing. So, the thoughts, you’re never going to get rid of, but it’s the thoughts that lead to the behaviour, that’s the ones that you wanna eradicate from your life. And it’s these thoughts that take a while to sort of…it’s a dynamic process. It’s a bit by bit by bit approach. Gradually, you don’t feed the behaviour, and you don’t feed the drinking thinking, then these things are going to disappear. One of the first places that you can have an immediate impact is in your own home, in your own environment. You can get rid of the alcohol out of your home, all the paraphernalia, you can organise your home and yourself so you’re not getting reminded minute after minute. Every time you go into a room, there’s a picture on the wall of a pint of Guinness, or a bottle of wine sat on the shelves that you just love to down. It’s all those reminders that you can get rid of. You can organise your room, organise your home so that it’s a lot more conducive to your relaxation and to doing the things that you want to do. So you have to have a plan about what you’re going to replace the alcohol with. Think about that a lot before you quit drinking. And then in your home, have certain things, or in your environment, have certain things that are conducive to that new environment that are going to help you to bring the new behaviour in and establish the new habits. 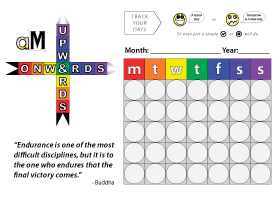 What you’re always trying to do is to break down the old habit and construct the new habit, and everything you do around in your environment should be along those lines of trying to break down the old habit and construct the new habit. So, as far as the drinking is concerned, you want to have as few reminders as possible, and in your mind you want to try and establish as many…not hatreds but as many roadblocks to you drinking as you possibly can. Maybe you can’t do this in your full home, maybe there’s other drinkers in your house. You have to take into account other people as well, you can’t just force other people to toe the line with what you want to do in your life. I think that’s the mistake that a lot of people try and make is to try and enforce their disciplines and their beliefs on other people. I think that just causes a lot of other problems, and these can lead to more issues that are just not going to be conducive to you quitting drinking. They can put more roadblocks in your way. So, if you can’t get your whole house like this, at least get one room where you can go and it’s sort of your safe room. You can go in there and there’s no alcohol, nothing that’s going to remind you of drinking. Preferably a room that you didn’t drink in before. This is not being selfish. When I said that you cant force your opinions on other people, it’s just not the way habit change happens. If somebody tries to force something on you, it’s a lot more difficult to toe the line and to change than if you made the decision yourself. When you’re quitting drinking, you can actually have a great influence on other people just because of the way you’re making changes in your own life; because of the changes that you’re doing in your life, and the changes in your thinking and the way you look at things. The way you appear to other people is just a massive sort of encouragement for other people to at least take a look at what they’re doing. It might take them years before they do this. I know people now that are turning round to me and going ‘ you know I think you have it right. The way you look right now and the way you live your life. You’ve got no more hangovers and I’m jealous of you’, and blah blah blah and all those kind of stuff. I’m looking after myself, and whether you want to say that’s selfish or not, you have to look after yourself first and foremost. It’s like going back to the…if you get on an airplane and they say to you ‘in case the airplane goes down, you have to put the oxygen mask on yourself before you put it on anyone else cause if you don’t look after yourself first, you can’t look after anyone else’. That’s the same thing that happens in life. Be pragmatic in the beginning. Try and establish yourself as much as you can in your own environment. 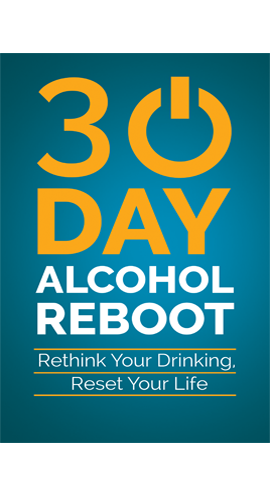 Try and make it as alcohol-free as you can within your own limitations. Gradually, slowly but surely change your thinking. Let go of your preconceptions, your expectations, your assumptions, your fear about things, try and let go of as many of those as you can. Most of the fears are groundless. You realise it as you go along through this journey. Feed yourself as much good fuel as possible. Get good nutrition and try and get good sleep. Get exercise, rest if you can’t sleep. Make sure you’re keeping yourself as relaxed as possible and just move on from there. As they say, ‘it’s time to be selfish, to put yourself first’. If you don’t do this for yourself, who’s going to do it for you? I mean, people will be quite willing to give out to you about your behaviour while drinking. So, they also have to put up with a little bit of discomfort on your behalf. The people are the closest to you while you’re making the transition. It’s a slow transition and from the perspective of thinking and the mentality of all this, from getting the behaviour out of your life, but it’s worthwhile. And as long as you persist and you keep persisting in not drinking, then you’ll get there. The dinking thinking will disappear, the drinking behaviour will disappear, rituals will all go, and you’ll be left with what you are building into in your life. Till next time, I’m Kevin O’Hara for alcohol mastery(dot)com. Stay safe, good luck to you now.